Last night in town we had the Mask Parade ( all the primary school kids make masks on a certain theme and parade the streets) very cool, I forgot my camera so had to use my cell-phone, which is not great. 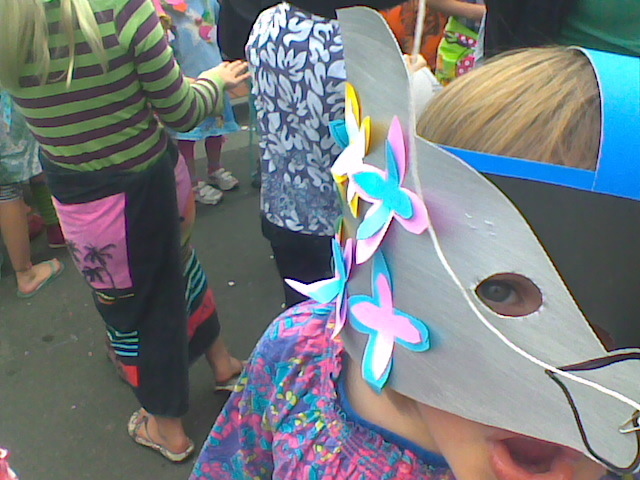 this is child no.2 in her fishy mask. it was a pacific theme. 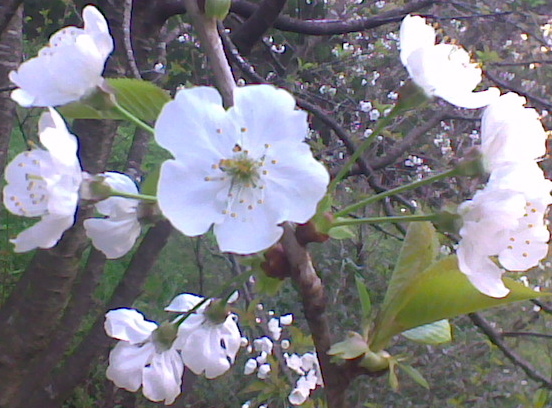 And then this morning I went for a run in the hills and came accross a lovely white blossom tree (possibly apple), again with the cell-phone. 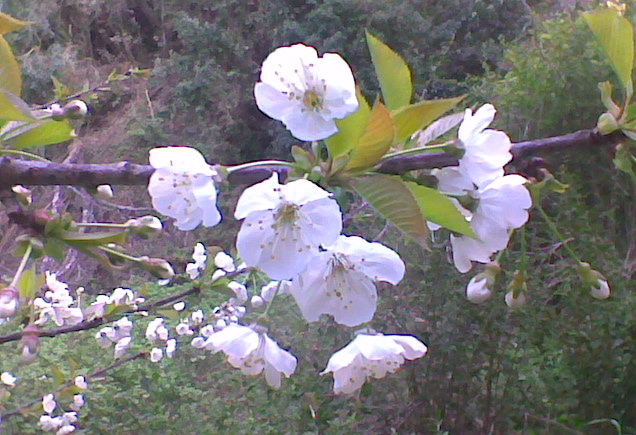 I love this time of year with flowers and blossom and wonderful flowery smells, it makes coming out of winter worth while.